At The Manchester Self Storage Company we believe that exceptional service levels, personal attention and value for money are what matters to the customer. By combining our experience, skills and resources whilst being approachable and friendly, we will create long-term relationships with both domestic and commercial clients. 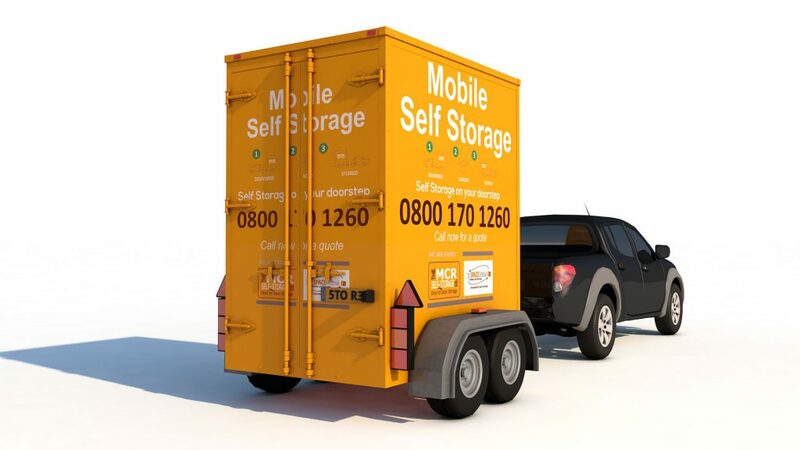 Providers of Mobile Self Storage in Manchester, Liverpool, Chester, Sheffield, Leeds and beyond! We have over twelve years experience in the self storage industry. Our aim is to make our customers feel they can rely on us to provide them with secure and simple self storage solutions for either home, business and the student markets. Furthermore, because we are a mobile self storage company, we can provide our customers with a transport service which is usually free of charge within Greater Manchester, Liverpool, Leeds, Sheffield and beyond. Whether you have a house full of items to store, an office that needs extra space for files and furniture, or you are a student needing to store as little as one suitcase, we deliver our Mobile Self-Storage Units to your chosen location. You also have the option of having additional Mobile Self-Storage Units delivered if you have more items to store. If you need packing supplies we have a full range. Once loaded, we collect and return it to our secure self storage facility. We have monitoring alarm systems and digital CCTV which can be viewed remotely. Access to your Mobile Self-Storage Units whilst in store is free also. Contact us when you would like to visit and we can have your Mobile Self-Storage Unit(s) waiting for you in our loading bay. You can reverse your vehicle straight up to the door(s) of your Mobile Self-Storage Unit(s) and access door to door! When the time comes for you to move out of storage, give us the address within Manchester, Liverpool, Sheffield or Leeds and we’ll deliver. If you would like further information on our self storage services, feel free to contact us direct on 0800 170 1260 or email us at info@manchesterselfstorage.co.uk for a free quote or complete an enquiry form.